Hold on tight, ladies and gentlemen, as Fish Fry gazes into to the future of our “smart lives” with Dianne Kibbey, Global Head of Community and the organizer of the Smarter Life Challenge at Newark element14. We’ll give you the details of the Smarter Life Challenge, let you know how you can enter, and tell you what you can win. Also this week, our EDA crystal ball shows us an exciting vision of a day when timing closure isn’t such a huge pain in the neck. We’re giving everyone one more chance to win a Starter Kit for PIC24F Intelligent Integrated Analog courtesy of Microchip technology. 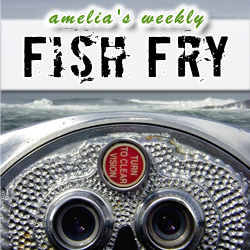 You can enter to win by commenting on this week’s Fish Fry page.